I noticed these little plants springing up around our house. 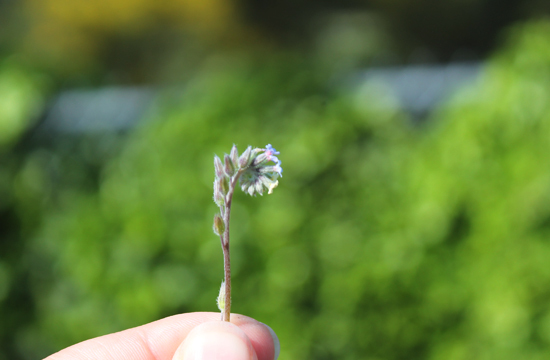 I was trying to figure out what they were when the tiniest, prettiest little flowers began to uncurl. 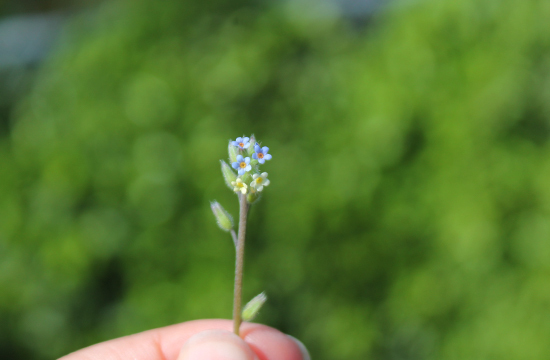 After some research, I found that they are PNW native small-flowered forget-me-nots. I love the little multicolored flowers. These come up as volunteers in my garden each spring. They are one of my first flowers to bloom and are so cheerful!